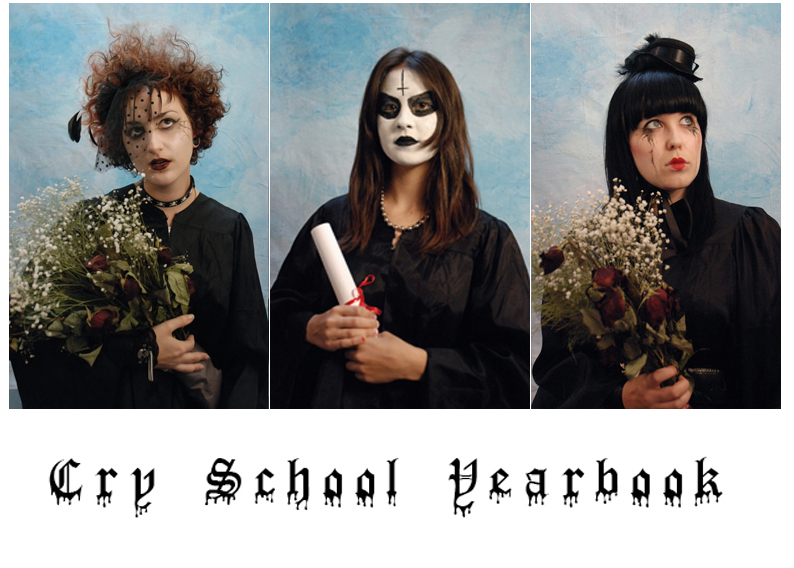 Cry School Yearbook is a collaboration between Jennie Suddick, Alison S. M. Kobayashi and Emily Gove where the artists will provide goth, metalhead and stoner makeovers to willing participants. The participants will then have their photographs taken in traditional graduation gowns. The portraits will be assembled here to create the ultimate yearbook of high school drop outs. CLICK HERE TO VISIT THE CRY SCHOOL YEARBOOK WEBSITE!